This is the second Zenith blaster that I've opened this summer. If it's anything like the last one I broke, I should find at hit and a rookie or insert card within. I haven't ever gotten anything really outstanding from a Zenith blaster (or from Zenith hobby either for that matter), but it is a fun break... and a product that I have warmed up to a bit more in recent times. 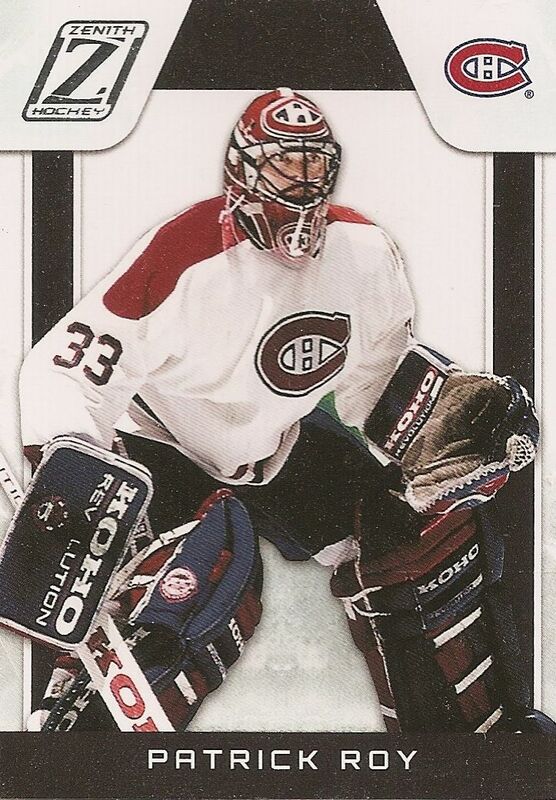 The last blaster had a Jonathan Bernier foil jersey card. It was actually a pretty nice card with both an all-foil card as well as memorabilia. I don't really mind getting plain jersey cards in products like this - because it still is a hit, and a jersey card in retail is not a bad pull. I am hoping for, though, a higher-level memorabilia card like a patch or autographed card. I wonder how many of those there are per jersey card there is in this product. I bet they are scattered few and far between. But every sealed blaster is a fresh start, so hopefully something nice will come out of this box. 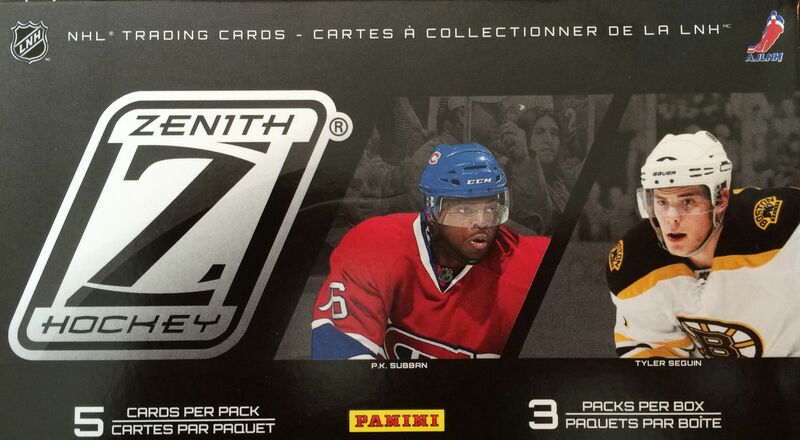 2010/11 was a great year for rookies, and Zenith did offer numbered autographed rookie cards in the product. Hopefully some were put into these retail blasters. One of the the three packs of cards was obviously bigger than the others, so I had a feeling that pack held the hit. It could have been a decoy, but it turned out I was right. This quick break of three packs gave me exactly what I expected - a hit, and insert, and a bunch of base cards. Being a smaller base-card set, there is a higher concentration of better players, and I did pull some excellent names from these packs. I think a novice collector or general NHL fan would enjoy seeing guys like Ovechkin, Price, and Tavares come out of this box. To a seasoned collector, all base may be the same, but I'm sure there are those who still like seeing the the stars on cardboard - even base. I enjoy pulling Roy cards from packs. He was such a dynamic player in his day... and now he is a dynamic coach. He's a legend among legends! 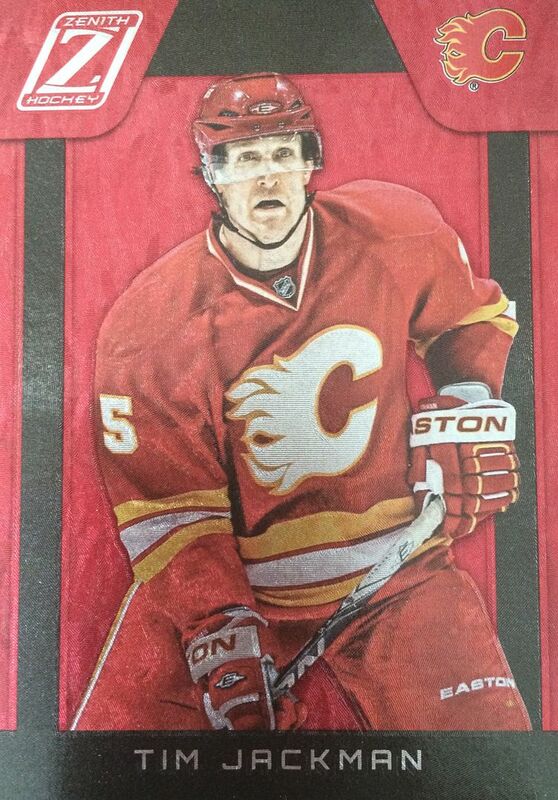 Jackman wouldn't usually end up in my top three, but he was the only parallel/insert card pulled out of this blaster. These red parallels are nicely done. My lone hit was of a player I used to collect - Thomas Vanek! 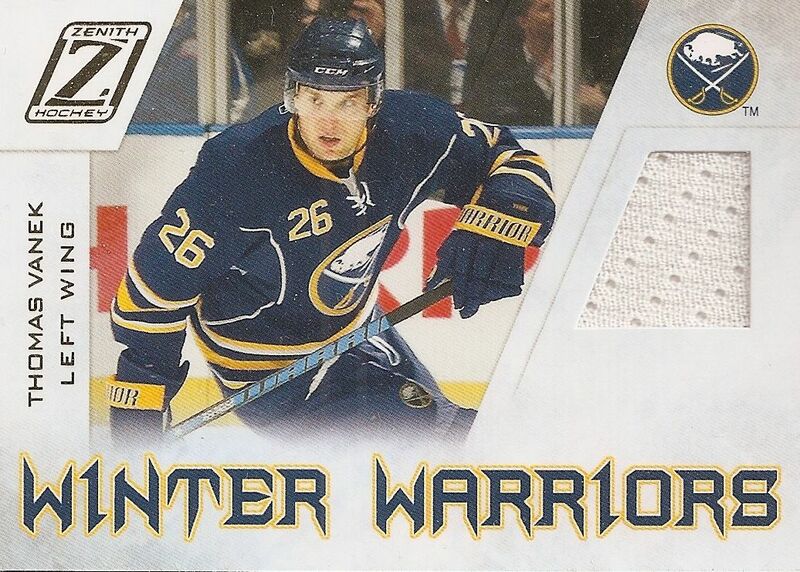 Winter Warrior cards are very standard looking jersey cards. Not a great hit if coming out of hobby, but it's ok here. I was ok with this box. Getting a plain jersey card wasn't the greatest, but at least it was of a player I used to really like. Though I haven't gotten anything really great from a Zenith blaster, I still feel the urge to bust some more of it. You will see another one of these blasters opened in the coming months.